Animals who are caged, chained and beaten for our "amusement" are starting to fight back. 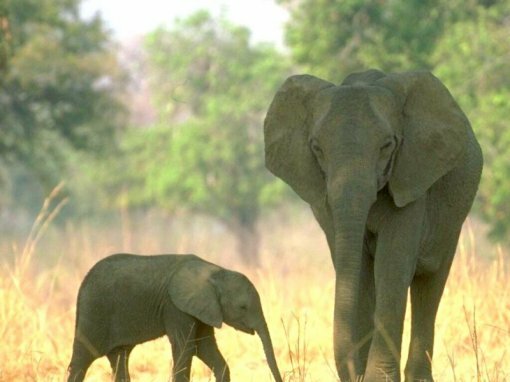 Last month, in between news reports about the Michael Vick dogfighting indictment, you may have seen video footage of elephants wandering the streets in Newmarket, Ontario. They were on the lam from the Garden Bros. Circus. It is sheer luck that the elephants' bout with freedom resulted only in some nibbled foliage and not property damage - or worse. In 2002, two elephants injured a child after escaping control of the same trainer during a Shrine Circus show in Wisconsin. They also damaged a city truck and a door at the park where they were performing. Humans have had such a profound - and perverse - impact on wild animals in circuses, we shouldn't be surprised that when given the chance, they make a break for it. 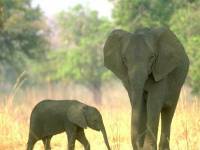 Elephants are exceedingly intelligent, highly social animals. In the wild, elephants protect each other, care for orphaned babies and mourn their dead relatives. Calves stay at their mothers' sides for a decade or longer. Mother elephants teach their babies to cover themselves with mud to ward off sunburn and to grasp tiny pieces of fruit with their trunks. In circuses and traveling shows, a mother elephant's loving touch is replaced by beatings, chains and electric shocks. Elephants in circuses spend their lives shackled inside trucks and boxcars, being hauled from one city to the next. They learn to fear the bullhook, a rod with a sharp metal hook on the end, which is used to terrorize them into submission. PETA's undercover investigation of the Carson & Barnes Circus - whose elephants are being leased by Garden Bros., according to our sources - documented a trainer's vicious attacks on terrified elephants with bullhooks and electric prods. He instructs other trainers to hurt the elephants until they scream, to sink a bullhook into their flesh and twist it and to conceal the beatings from the public. Pent-up pachyderms aren't the only species in captivity longing for their freedom. Tigers traveling with the UniverSoul Circus have escaped in Jacksonville, Florida; New Haven, Connecticut; and Landover, Maryland. In 2006, a tiger used by traveling exhibitor Marcus Cook escaped from his cage and attacked a handler, causing severe injuries. In 2004, a 450-pound tiger caused a multicar pileup on a New York freeway after escaping from the New Cole Bros. Circus; two women who suffered spinal fractures and other injuries filed a $60 million lawsuit. Too often, an animal's desperate bid for freedom ends in tragedy. When an elephant named Tyke reached her breaking point while performing with a circus in Hawaii, she trampled her trainer to death and injured a dozen spectators before taking off down the street. She was shot dead in front of a horrified crowd. An elephant named Janet tore out of the Great American Circus ring in Florida, carrying numerous children on her back. She was shot 47 times by an off-duty police officer before she died. How many more of these sad incidents must occur before we grant the animals the freedom we've taken from them? Earlier this year, Prince George, British Columbia, joined the growing list of cities that have banned exotic animal acts. Other cities all over the world must do the same. Circuses that beat and bully animals should not be welcome in our communities. Jennifer O'Connor is a writer for People for the Ethical Treatment of Animals (PETA); 501 Front St., Norfolk, VA 23510; www.circuses.com.